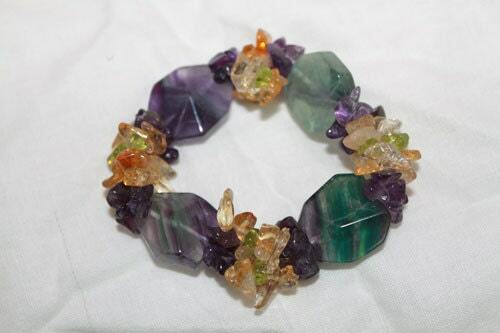 Receive a beautiful Rainbow Fluorite Bracelet made with Healing Crystals and Stones. This listing is for ONE bracelet. If you would like more than one, simply choose your quantity from the menu. Due to its elasticity, will fit all wrist sizes 6 - 8 inches. Amethyst: Helps you focus on money matters, magnifies the energies of other crystals. Amethyst is good for mental balance, business success, and moving forward in life. 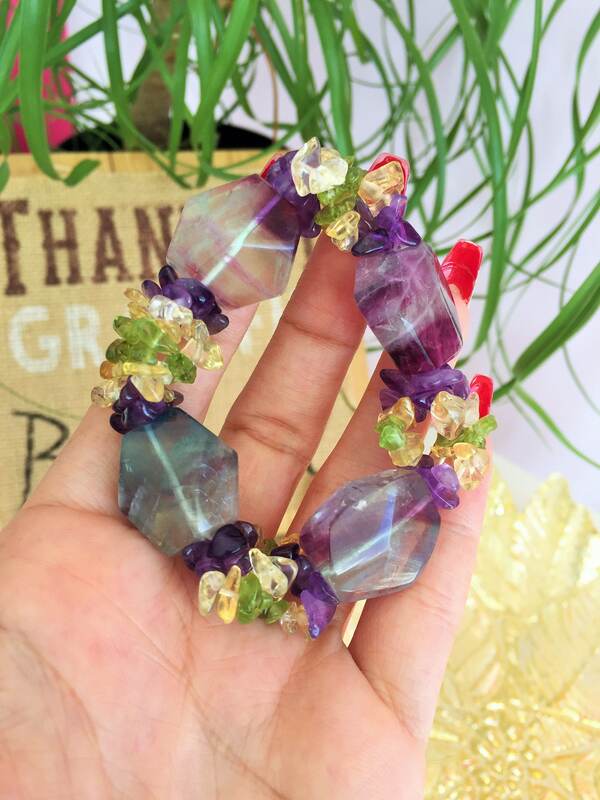 This crystal can also assist in releasing tendencies of any form of addiction. 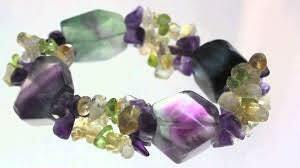 Amethyst is good for negotiation skills and decision-making, both of these are linked to manifesting wealth. It encourages business success and public speaking. Citrine - The stone of Abundance. Considered the merchant stone, citrine is very versatile and is used for mental and emotional clarity, problem solving, memory issues, willpower, optimism, confidence and self-discipline. It reduces anxiety, fear and depression. Stunning piece, absolutely love it, fit is perfect, colors amazing. This is beautiful. I can feel the positive energy flowing from it. Absolutely love it! Even better than the photo! Thanks! Beautiful, whimsical bracelet! I love it.